THE PICKIEST EATER IN THE WORLD: HE'S BACK! 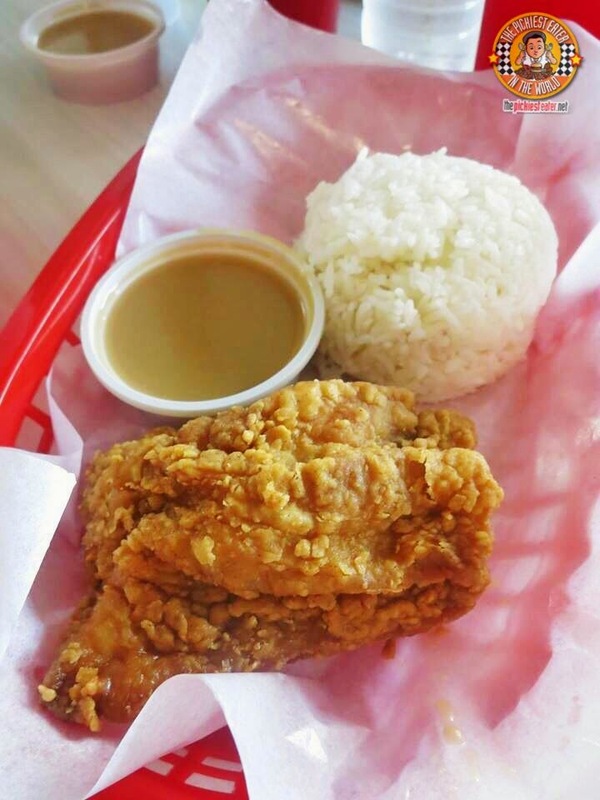 TOM SAWYER'S FRIED CHICKEN IN TIENDESITAS! As Rina and I were on Libis Northbound going to Cubao, I managed to glance upon this sign hanging from the wall of Tiendesitas (Rina finds my knack of finding food signs posted on the street uncanny). Seconds later, Rina was asking me, "Umm.. Why are we making a U-Turn?" Not many people know this, but despite the fact that there were no longer any Tom Sawyer's Branches in Metro Manila for decades now, you could still get a taste of their famous fried chicken at the restaurant "Famous Eli's" in Tagaytay. I guess the owners responded to the requests of many kids of the 80's and decided to bring back their "Krispy Fried Chicken", as they found a new home at Tiendesitas! Tucked away at the new Building A of Tiendesitas in Pasig, Tom Sawyer's sparkling new branch has a clean, modern meets rustic feel, that shows that they old favorite has indeed adapted itself to modern times.. But at the same time, sticking to its classic favorites.. The Fried Chicken! Tom Sawyer's kept their menu relatively simple. They serve three main dishes, and a nice selection of "Extras" to choose from. Of course, I needed to start with the Fried Chicken (One Piece P88/Two Piece P138). Truthfully, I don't remember how the chicken tasted back when I was a child, but I do know what delicious fried chicken is, and this is it. As I tore into the meat, I couldn't help but notice how juicy it was, and seasoned beautifully, making the natural flavor of the chicken more pronounced. The skin was fried to a delightful crisp, letting out loud sounds of crunches with every bite I took! Dipping the chicken into the gravy added a tasty creaminess that went perfectly with the meat! Though the Pinoy in me couldn't resist the fried chicken and rice combo, I suggest you give the Cornbread (P25) a try as well! 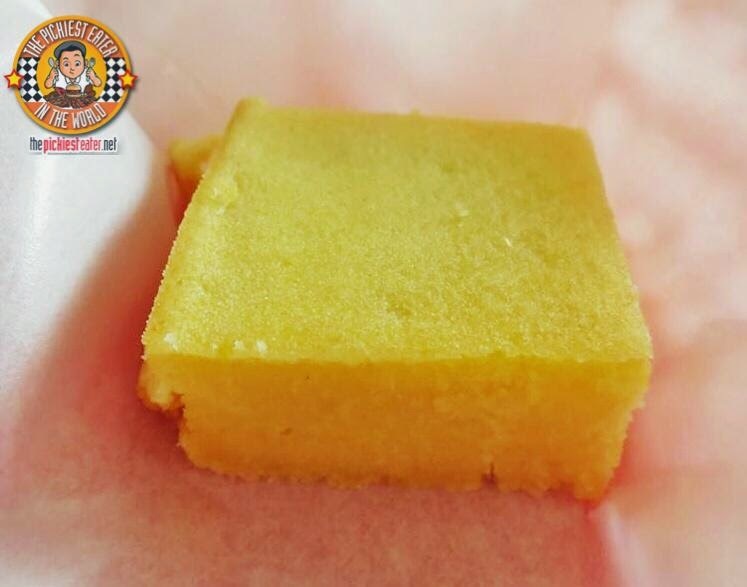 It look very dry at first glance, but it turned to be rather moist, with whole corn kernels giving more corn flavor. It's actually quite close to Kenny Roger's, which I also like very much. 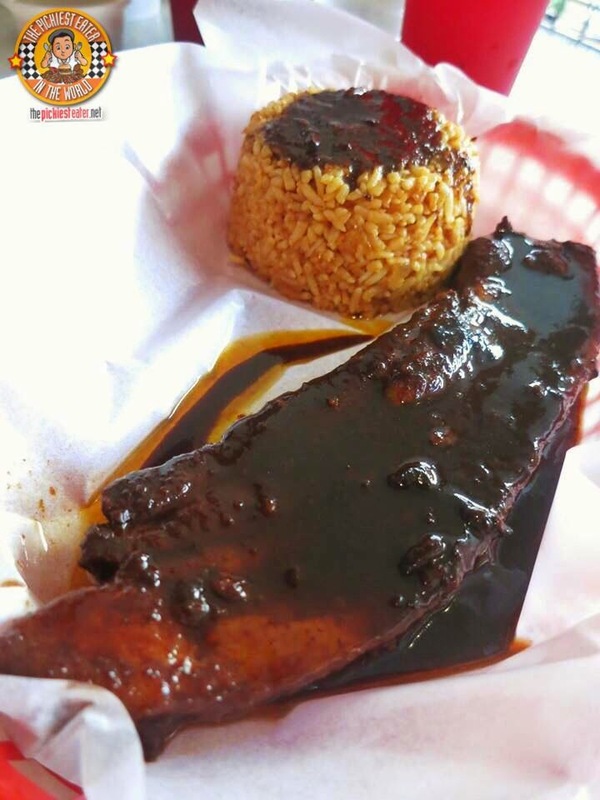 The most expensive item on Tom Sawyer's Menu (Not including the Chicken Party Box options of course) is the Hickory Ribs & Rice (P198). This is a long piece of pork belly, drowned in a "Hickory" Sauce, and served with Hickory Rice. The Ribs were actually quite tasty, and I was happy with the fat content. I'm concerned that others may find the "sauce" a tad oily, although it honestly didn't bother me. I also felt that adding a bit of the sauce on top of the rice was a stroke of genius. As good as it was, I think the sauce may would have worked even better with a bit more acid to it. Perhaps a bit of Apple Cider Vinegar might have done the trick? Nonetheless, the size of the dish, and the price makes this a really good deal! Unfortunately, I wasn't able able to try the other main dish, the Spaghetti, but I plan to go back soon. Also, I tried ordering the Coleslaw but they were unfortunately out of stock. Congratulations to the people behind Tom Sawyer's Old Fashioned Krispy Chicken for their triumphant return to the Manila food scene! With very reasonable prices and delicious food, I'm looking forward to going back soon (Will take better pictures, too)! Oh, my giddy aunt! How I envy you; I LOOOOVED Tom Sawyer's chicken when I was a kid! I MUST drag the significant other off to Tiendesitas! Lemme know what you think of it! trying to reach Eli Aurielo of tom sawyers, is the restaurant still open? I believe so, Linda.. at least I hope so! Hope they'll have more branches soon! Are they generous with their gravy or you need to buy extra? Thanks! They are quite generous with it.. I believe it's refillable. Apart from the small container that comes with your meal, they gave us two extra containers of gravy! Wow! Childhood memories there. Thanks for sharing. The ribs also look delish! Whoa I didn't try that the first time.. Wish they had it here! I hope so too.. Would love to hear what you think of it, Edelweiza!